Today’s doodles (yes, many of them!) 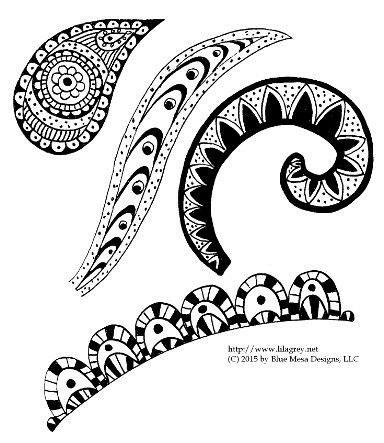 were inspired by Zentangles. I was teaching a watercolor class last week, and I met a Zentangle instructor. Though I am not usually drawn to geometric patterns, I am always looking for ways to fill in curves and paisley shaped designs.